A California Wrongful Death Lawyer is an attorney, barred in the State of California, that represents the families of individuals who have been killed, intentionally or unintentionally, through the actions of another for damages resulting from the family members death. Unlike a criminal action, a wrongful death action is a civil case that involves the procurement of money damages due to the loss of economic and non-economic support from the deceased due to the defendant’s wrongdoing. A California Wrongful Death Lawyer is important to retain when you have suffered the loss of a loved one due to the actions of another but there are only certain individuals who can qualify for bringing a wrongful death action in the State of California. A California Wrongful Death Lawyer may only represent clients for damages due to wrongful death if the plaintiff is a spouse; domestic partner; child; issue of deceased child; or, if there is no surviving issue, whoever is entitled to property under California’s laws of intestate succession. California also gives dependents of the deceased who have been living with the deceased for at least 6 months and where the deceased was responsible for more than 50% of the defendant’s support. This can include parents, grandparents, adopted and step children. California law specifically refuses to give these rights to parents, and siblings. Unless they fall under “dependent” status they may not bring an action for wrongful death. What damages may be attained by a California Wrongful Death Lawyer? A California Wrongful Death Lawyer can help you, not only, get economic damages due to the loss of a loved one from a negligent or intentional action of another, but also help you recover non-economic damages. Economic damages are those that relate specifically to the deceased monetary loss. This includes the loss of support from the deceased, lost inheritance, medical and funeral costs, as well as lost income. A California Wrongful Death Lawyer will be able to argue that family of the deceased depended on the support and services of the wrongful death victim and that their income would have increased over time. Non-economic for the loss of a family member in a wrongful death action include loss of consortium and emotional pain associated with the loss of a father or spouse among other things. Non-economic damages associated with the pain and suffering of the deceased him, or her, self are not to be considered when discussing damages. These are considered to be the sole rights of the deceased and die with him, or her. A California Wrongful Death Lawyer will be able to argue for the family by showing the importance of the deceased in the family unit and how that loss has created damages that should be compensated. There is no cap for non-economic damages in most wrongful death actions, however, if the cause of action accrued due to medical malpractice there is a $250,000 cap on non-economic damages in the State of California. There are usually no punitive damages associated with wrongful death. Punitive damages are those damages that a plaintiff will be awarded to “punish” the defendant for his actions. This is rare in a wrongful death action and only occurs when the defendant has shown a gross disregard for human life and has acted intentionally, or with malice. The statute of limitations associated with a wrongful death action in the State of California differs depending on the cause of action that gave rise to the death of the victim. In personal injury actions there is a 2 year statute of limitations; in medical malpractice actions that statute of limitations is only 1 year; and if the defendant is the State of California or some other governmental entity the California Wrongful Death lawyer must file, on behalf of the client, within 180 days to give notice to the government that legal action will be commenced. This, however, is not cut and dry. Depending on who the victim is, and a number of other issues, the statute of limitations may be altered. It is important to discuss this with a California Wrongful Death Lawyer as soon as possible so that you don’t sit on your rights. What if the death occurred on the job? If the death of the victim occurred on the job then the matter is probably covered by the employers’ workers compensation insurance. Workers compensation insurance is essentially a negotiation between employers and employees in which the employee is guaranteed certain compensation for death and injury in return for not litigating the matter. When a death occurs on the job the victim’s family will receive a set amount of benefits from the workers compensation insurance. Often this is not enough to fully compensate the family. The California Wrongful Death Lawyer will attempt to prove that, not only was the employer at fault, but also a third party. The California Wrongful Death Lawyer will attempt to show that the death was due to faulty manufacturing, defective design, or some other reason that will put a third party, not covered by the workers compensation insurance, as a possible defendant subject to damages. Where do I find California Wrongful Death Lawyers? The California Bar Association also operates a legal referral service from their website at www.calbar.ca.gov. By going to the California bar associations website you can input the county in the State of California where you will be needing a California Wrongful Death lawyer and the referral service will give you a list of resources in your county to contact. You may also call the referral service at 415-538-2250. You can also find California Wrongful Death lawyers by taking advantage of the laws.com website. By going to the top of this page and clicking on the “find a lawyer” link you will be brought to the laws.com referral service. 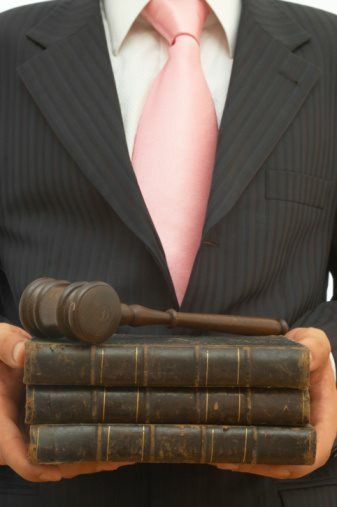 By plugging in your name, location, contact information, and description of your legal problem. Laws.com will then contact you about possible California Wrongful Death lawyers who may be able to help you with your problem. California Wrongful Death Lawyers will work with you on a contingency basis. This means that they will not charge you for representation unless you win your case. In that instance the California Wrongful Death Lawyer will usually require 33% up to 40% of the recovery. Remember, the statute of limitations for wrongful death actions in the State of California is varies depending on the course of action from. If a loved one has died as a result of wrongful death on the part of another in the State of California you should contact a California Wrongful Death lawyer immediately so that you may get the recovery you need to move on with your life.